NEW YORK (Dow Jones)--Crude oil futures fell Wednesday ahead of a weekly government report on U.S. oil inventory levels. Light, sweet crude for July delivery recently traded 81 cents, or 0.8%, lower at $98.78 a barrel on the New York Mercantile Exchange. 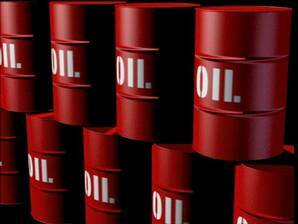 Brent crude on the ICE futures exchange traded 5 cents lower at $112.48 a barrel. U.S. oil stockpiles are expected to fall by 1.2 million barrels in data from the Department of Energy due 10:30 a.m. EDT Wednesday, according to a survey of analysts by Dow Jones Newswires. Gasoline inventories are predicted to fall 100,000 barrels, after rising for the past two weeks. Inventories of distillates, including heating oil and diesel, are expected to remain unchanged. Investors will likely be focused on the products markets, particularly gasoline, for hints on what demand may look like in the important summer driving season. "It's all about gasoline. You can throw everything else out for the next three weeks because that's where the market is focused now," said Phil Flynn, an oil analyst with PFG Best. The American Petroleum Institute, an industry group, late Tuesday said its own survey showed crude inventories last week fell 860,000 barrels. Stocks of gasoline rose by 2.4 million barrels, while distillate stocks fell by 850,000 barrels. Retail U.S. gasoline prices, on average, are at $3.85 a gallon, according to the Energy Department, after nearly breaking $4 a gallon earlier this month. Traders are worried that the high price of gasoline has strained the budgets of consumers and businesses, and could result in lower fuel consumption. The threat of falling demand has been a major factor in oil's retreat below $100 a barrel in recent weeks. After two major price plunges earlier this month, crude futures have held in a tight range between roughly $101 a barrel and $95 a barrel. Fears about slowing economic growth in China and debt problems in Europe have kept a lid on rising prices. But traders are still worried about the effect of lost oil supplies from Libya. The International Energy Agency, which represents the major oil-consuming nations, has also called on the Organization of Petroleum Exporting Countries to increase production. "In the short term, the market is likely to be in a consolidation mode," said James Zhang, energy analyst at Standard Bank, in a client note. Front-month June reformulated gasoline blendstock, or RBOB, recently traded 3.18 cents, or 1.1%, lower at $2.9610 a gallon. June heating oil recently traded 0.57 cent higher at $2.9154 a gallon. -By Jerry A. DiColo, Dow Jones Newswires; 212-416-2155; jerry.dicolo@dowjones.com.